Licensed galas/meets (for example, Academy & Junior Galas, Club Championships and Open Meets), require a full complement of officials to cover roles such as timekeeping and judging in order to meet the licensing requirements and for any times achieved to be recognised as licensed times and placed on the ASA’s central database. Failure to abide by the gala licence conditions could render the times achieved void. 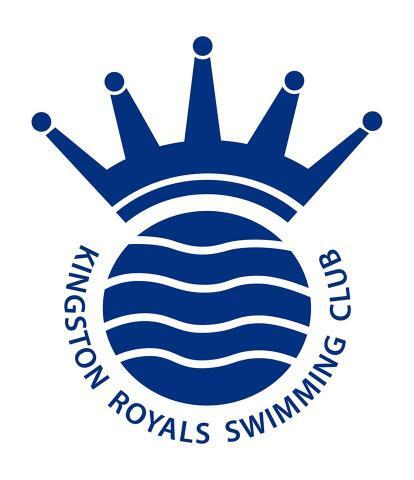 As a consequence, KRSC is keen to support parents and other helpers to become qualified swimming officials so they can lend support to our swimmers and officiate at these events. The Club periodically runs dedicated courses for prospective officials which are supplemented by working poolside at licensed meets under the guidance of a qualified mentor and referee. All clubs hosting open meets are keen to support trainees to ensure a continuous flow of new officials entering the sport, so they will welcome you with open arms! As well as investing your time, you will need to invest in a good stopwatch and some white apparel – polo shirts, trousers, shorts, skirts, shoes, etc. to wear poolside in your role as official. Officiating is a rewarding experience allowing parents to gain some new skills and contribute to the success of events. It certainly beats sitting on a hard plastic seat in a hot gallery for many hours on end!!! This is the first step towards becoming swimming official. The role covers practical aspects of the requirements of a timekeeper by means of a short theory session followed by a practical assessment. Candidates wishing to train as a Timekeeper must be a minimum age of 14 years old. All those taking on this role need to be registered members of a British Swimming affiliated club or a member of the Institute of Swimming (IoS). This is the first level of British qualification. The role encompasses the duties of a Timekeeper, Chief Timekeeper and Inspector of Turns. Candidates wishing to train for their Judge Level 1 qualification must be a minimum age of 15 years old and will be required to undertake some formal theory instruction and gain practical experience working poolside with a mentor. A course workbook is provided for completion, after which there will be a practical assessment where candidates will be required to answer questions orally. Upon qualification, candidates will be attributed with the qualification Judge Level 1 on the British Swimming database and will be encouraged to become a Licensed Official. This is the second level of qualification. The role encompasses duties in relation to all aspects of judging and the theoretical duties of a Starter. Candidates wishing to train for their Judge Level 2 qualification must be a minimum age of 16 years and have already qualified as a Judge Level 1. The training follows a similar format to that of Judge Level 1 with formal instruction, mentored poolside training, completion of a workbook, followed by a practical assessment. Once qualified, candidates will be attributed with the qualification Judge Level 2 on the British Swimming database. Candidates wishing to qualify as a Starter will be required hold the Judge Level 2 qualification and have completed a minimum of 20 hours post-qualification experience as a Judge Level 2. The minimum age for training is 19 years providing the candidate is aged 20 years as at 30 November in the year of the theory examination. In addition, candidates must have proven poolside experience as a Judge Level 1 and Judge Level 2 and must also have been qualified as a Judge Level 2S for at least one year with a minimum of 10 hours post-qualification experience in that role at the time of application. Please contact either Zina Williams (zinakarapetsa@gmail.com) or Claire Austin (claire.austin@kingstonroyals.co.uk) to register your interest in learning to become an official and to find out when the next training course is timetabled.